How do I change my pic on this site? Thanks! I will do that! Look at this thing I have!!! Yeah, I guess it would freak someone out if they didn’t know what it was!! ha ha!! 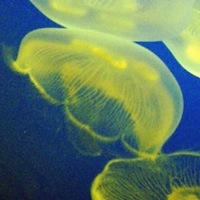 Fluther means group of jellyfih. That’s why you have one for a default avatar. You can change it to suit your style tho. Just click on the little picture, you’ll be taken a page where you can choose one of the many default ‘Jelly fish’ or upload a jpeg from your computer. What do you think about SeekingMillionaire.com ? Where can I buy FIFA coins from?